Why bother with direct mail when you can email? The short answer is that our attention span for reading emails is extremely short. Most email marketing gets deleted or unsubscribed.We are suffering from inbox overload.The great thing about direct mail is that it’s a tangible item, held in the hand, unfolded, turned over and read with more focus than an email. Not to say people read everything on a direct mail piece, but their attention is at least focused for a few minutes to point them to your promotional item on a webpage which encourages them to buy online. This activity usually results in you collecting more email addresses (and sometimes physical addresses) for future promotions. 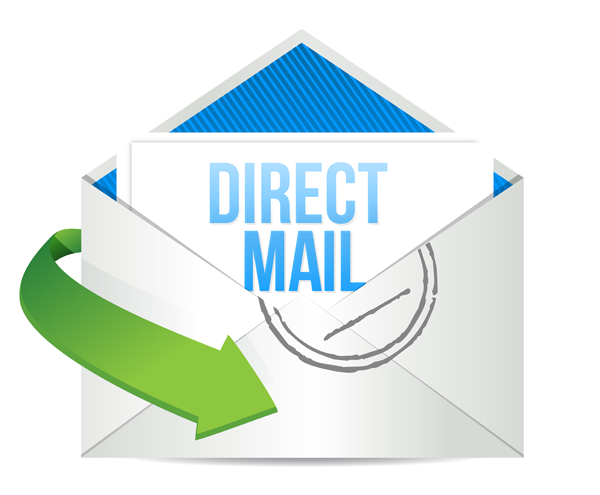 The real point of direct mail has always been for the customer to contact the company. In the old days it was via phone or walk in. If it didn’t produce results, it would have died around the year 2000 when online took off. Absolute Colour Printing will create artwork for your personalised printing, or other variable data printing. Call 1300889959 and talk to our consultant about options. 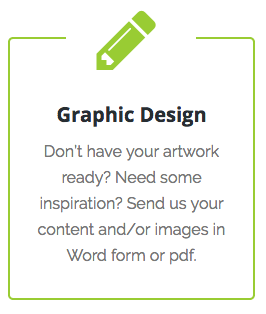 Create a promotional article or ask our graphic team to create it for you. Most popular for direct mail is the simple postcard. DL (99 x 210mm) or A6 (148 x 105mm). The main point of any direct mail is to ask the customer to take action – usually to log on to your website to subscribe or purchase. We will personalise the mailing area (obviously) as well as other areas of the card depending on the design. Printing and personalisation is carried out at the same time so all fonts and colours remain consistent. Organising direct mail is a task that can take many hours when done by most admin staff. A good mailhouse has the technology and expertise to do this quickly and efficiently. Presorting and lodging your mail with Australia Post is the quickest way of getting your mail into your customers’ hands. If there are discounts available through Australia Post, they are passed on to you. We are a one-stop printing and mailing service. We also handle unaddressed mail and lodge with Australia Post on your behalf. What’s the minimum number of items for postage? If you have 300 or more items for postage, professionally processed addressed mail is probably the best choice for overall appearance, delivery and success of your direct mail campaign. Mail is professionally processed using state of the art mechanical insertion equipment. Most economical method of Insertion of brochures with flysheet – an industry name for personalised address sheet. Includes name, address, barcode, sender details, postage paid indicia. Using a barcode, the bulk mail can be pre-sorted to take advantage of reduced postage costs. Some clients also use the space on flysheet to advertise products and events. Far cheaper than envelopes when mailing out printed catalogues, brochures and publications. Plastic wrap keeps items dry. Plastic wrapping is ideal for magazine publications and pamphlets from DL to A4. Our team will accept and manage your data files in many different forms. Our staff focus on customised process to minimise errors with manual processes, risk and inefficiency to maximise cash-flow. Archival and electronic retrieval solutions. Your envelopes can be printed at the same time as your direct mail or ahead of time. Custom envelope printing with your logo and branding. Repeated mailings create multiple touch-points for your customers to recognise your brand over time. Using consistent messaging and professional design, your brand will become familiar with your potential customers and become memorable and potentially lead people to your website. DLX envelopes (slightly larger than DL) are used for multiple sheets of A4 folded twice to DL or for multiple printed items around DL size. Plain, window, secretive or regular envelopes available. Specialty stocks available on application. Whose account should the postage be charged? If you do the occasional mailing, say once or twice a year, under a few thousand items, it’s fine to have postage charged to mail house account. We always quote actual postage cost and mail house fee. If you frequently post, it’s best to set up your own business account with Australia Post to secure the optimum cost savings. Click here for Australia Post Business Credit Account Application form.